6 Tsp Styrian Pumpkin Seed Oil P.G.I. Peel the asparagus at the ends and poach in salted water for 3-5 minutes until al dente. Drain and arrange on warmed plates. For the dressing, mix the Styrian Pumpkin Seed Oil P.G.I., balsamic vinegar, salt and pepper and pour over the asparagus. 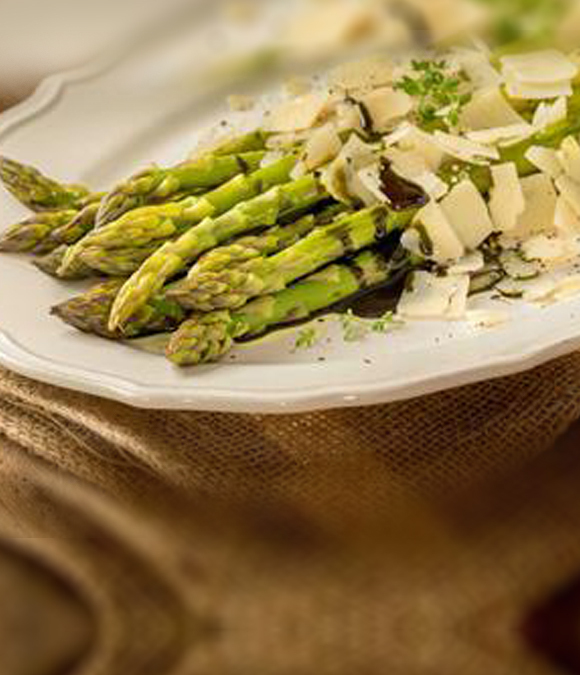 Slice the Parmesan, spread generously over the asparagus and serve.